The story of the California Condor—an awe-inspiring symbol of wilderness—is one of the most dramatic and contentious in conservation biology. Huge scavengers with wingspans reaching more than nine feet, Condors declined by 1985 to just nine individuals left in the wild. At that point, under a highly controversial program, the last birds were brought into captivity to create a population that could eventually be reestablished in nature. 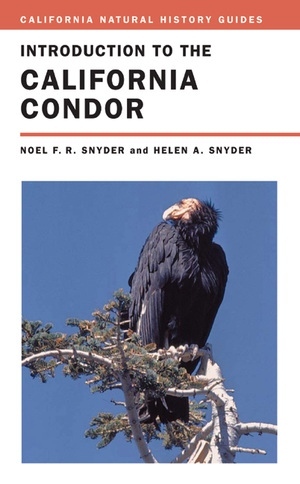 This engaging book, written by two scientists who were intimately involved with the Condor conservation effort, tells the full story of the California Condor, from the bird's evolution and biology to its captive breeding and subsequent releases, and its uncertain future. It introduces the largest soaring bird in the continental United States to a broad audience and at the same time presents an important case study of a critically endangered species. Throughout the nineteenth and early twentieth centuries, Condors suffered from a variety of stresses—from shooting to strychnine poisoning that was an inadvertent side effect of campaigns to exterminate wolves and grizzly bears from California. Condors also faced dramatic declines in their food supply and progressively smaller foraging habitats. But as we are now coming to understand, the most important cause of their decline was lead poisoning caused by the ingestion of the ammunition fragments often present in its carrion food supply, especially in deer that were killed, but not recovered, by hunters. Noel and Helen Snyder delineate in clear fashion the myriad issues facing the Condor today and, looking to the future, convey a measure of hope that we may still achieve viable wild populations of this magnificent denizen of the California landscape. Noel F. R. Snyder and Helen A. Snyder are ornithologists who specialize in birds of prey and bird conservation. Among their books are Birds of Prey: Natural History and Conservation of North American Raptors (1991) and The California Condor: A Saga of Natural History and Conservation (2000).